Lines Henry have a wealth of talent and experience in all aspects of corporate and personal insolvency. Neil Henry is the Managing Director at Lines Henry. With over 30 years in the business and backed up by hard earned MIPA and FRRP certifications, Neil is the driving force behind this dedicated firm of Insolvency Practitioners. 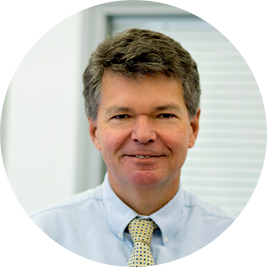 It is Neil's own vision that has moulded the company into what it is today. His values of hard work, integrity and fairness are the lifeblood of the company and his drive to provide help to those who need it permeates the firm. Specialising in small to medium enterprises, Neil knows only too well how much stress and worry can be caused by financial difficulties. It is a matter of great personal pride to him how many people's burdens of anxiety he has been able to relieve through his work. Neil's crusade to help those in fiscal trouble continues unabated and he wishes more people knew that his work can make them feel better through the relief of stress that insolvency can bring to them. When asked to describe his IP superpower, Neil responded that it was his uncanny ability to dig through the details and get right to the nub of a problem. In his free time, Neil is an avid, but long suffering fan of Bolton Wanderers F.C. He spends more time than he'd like to admit ferrying his children around in 'Dad's Taxi' and enjoys a round of golf to relax. At home, he keeps his mind sharp with cryptic crosswords and has six cats to keep him company while so doing. "It is a far, far better thing that I do than I have ever done; it is a far, far better rest that I go to, than I have ever known." - From A Tale of Two Cities by Charles Dickens. Mike is another of Lines Henry's trio of Directors, with LLB and MIPA certifications to his credit. 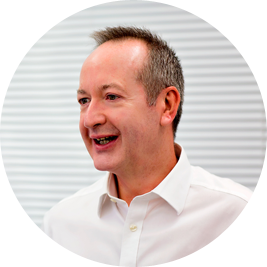 Originally a solicitor, advising on insolvency issues since 1987, Mike became qualified as a Licensed Insolvency Practitioner 16 years ago in 2001. Specialising in Corporate Insolvencies, Personal Insolvencies and Member's Voluntary Liquidations, what Mike loves most about his job is are the people he gets to work with and the clients he works for. Having said that, he wishes more people knew to get advice when problems begin because the available solutions diminish over time. He regrets that Lines Henry all too often, only get brought in as a last resort when most of the resolution options have already been exhausted and are no longer available. In his free time, Mike can often be seen perfecting his swing on the golf course. 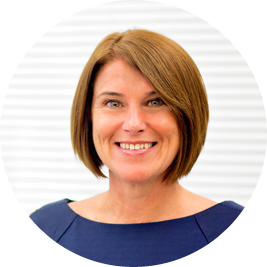 One of Lines Henry's trio of Directors, Lisa has 22 years extensive experience in the industry, gaining her certificate of proficiency in insolvency 17 years ago. Lisa guides Lines Henry's business development and helps manage the team. 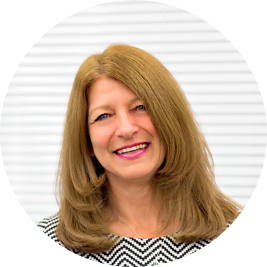 Lisa gets a great deal of enjoyment in her specialisation helping SME's and also helping individuals who find themselves in financial difficulties. Having seen the relief on the faces of the people she helps as "The weight of the world is lifted", she takes great pleasure in providing the help and advice which sees them through their worries and out at the other side. Whilst Lisa understands why people may have a poor view of the work insolvency practitioners, she takes issue with people who ignore the advice of the experts in favour of listening to the unqualified opinions of people in their local pub. If only they'd pick up the phone to the professionals when times get tough, they'd soon find those troubles would be well on their way to being dealt with. The earlier Lines Henry becomes involved, the more can be done. Lisa imagines that her IP superpower is tolerance. Even for the people who don't listen to the advice of the qualified and experienced. At home, Lisa enjoys settling down with a good book, spending time with her family and visiting friends. She has a King Charles Spaniel named Titch, who she describes as being the 'apple of her eye'. We pressed Lisa for a favourite quote, she gave us three; "No s**t Sherlock", "What is the worst someone can say?" & "Go stand in a corner and think about what you have done". We're assured that only one of those gets used at work. Wendy originally joined the Lines Henry team from 2004 to 2006 and has recently returned to us with a wealth of experience after spending the time in between working in the insolvency profession around the UK. Wendy started her career in insolvency in Staffordshire in 2001 and, while her role as Senior Manager is extremely varied, she relishes this variety and has stated that one of the best things about her job is that no two days are ever the same. 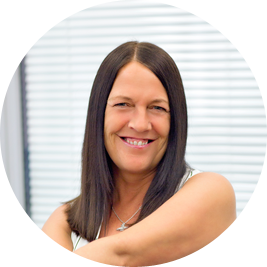 Wendy qualified as an Insolvency Practitioner in 2010 and specialises in both personal and business insolvencies, in particular where the cases are complicated or involve protracted asset recovery. Her IP Super-Power of ‘Empathy’ comes in very handy here, allowing Wendy to see circumstances from all perspectives. Wendy is also a qualified Accounting Technician. Wendy doesn’t have a favourite quote as such, but wishes more people understood the role of Insolvency Practitioners a little better. Especially in relation the wide array of personal and professional skills required in the industry and describes her pet-hate as rudeness, seeing no need for it. When not at work, Wendy enjoys spending quality time with her family. Although she has no pets of her own, her daughter has a pair of gerbils which Wendy keeps a watchful eye on. Wendy regularly makes time to keep fit by going swimming and when the weather allows, she enjoys running too. Kirsty joined Lines Henry around 13 years ago in 2004, gaining her certificate of proficiency in Insolvency just three years later. Kirsty now serves as the Manager of our team of administrators, providing them with help, support and ongoing training. Kirsty monitors case progression and deals with any issues that arise. She also conducts the day to day handling of various personal and corporate insolvency cases. While she deals with all kinds of personal and business insolvencies, even the really unusual cases, most of Kirsty's time is spent dealing with Company Voluntary Liquidations, Member's Voluntary Liquidations and Administrations. Kirsty's favourite quote is that "Manners cost nothing but mean everything." And unsurprisingly, she's no fan of rudeness. However, Kirsty's stated IP Super Power of remaining calm and thinking logically allows her to keep her cool. Kirsty enjoys the variety of her work and the challenges it presents. Also working as part of the team, she works exceptionally well with her colleagues as they all support each other. Mirroring what many of the team say, Kirsty wishes that more people knew that we are here to help. We want to help the directors, the employees and the creditors. Outside of work, Kirsty enjoys spending time with her family, riding horses and swimming. She has two children, two horses and two guinea pigs to keep her busy. 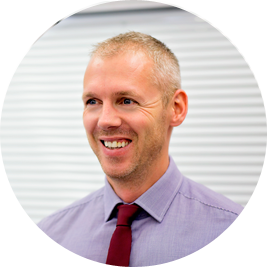 Rob serves as our Senior Insolvency Administrator and has been with us for over 10 years. Rob is involved in all types of insolvency work but is especially keen on individual voluntary arrangements and other personal insolvency work. We asked Rob what he wished more people knew about Lines Henry, he answered: "As a company, we are able to resolve a lot of people’s financial worries and take the pressure off them having to deal with their creditors. We are also able to help directors of solvent companies with making considerable tax savings by placing their company into Members Voluntary Liquidation." If Rob had to name his Insolvency Practitioner super-power, he believes it's his Pragmatism. Outside office hours, Rob is a keen supporter of Liverpool Football Club, he has a fondness for 80's movies and chocolate, but sets time aside for keeping fit in order to balance that out. He's kept on his toes by his daughter and two cats Lola and Naboo. Favourite Quote; "If you don’t take the chance, you don’t get the dance." Serving as our Senior Insolvency Administrator, Lisa returned to us after a career break and working for other insolvency practitioners and has gone from strength to strength since. She initially joined Lines Henry in 1998 and obtained her CPI in 2011. 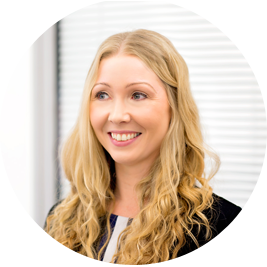 Specialising in Complex Bankruptcy cases and all aspects of Corporate Insolvency, Lisa loves every aspect of her role with Lines Henry. If Lisa could persuade more people that as Insolvency Practitioners, we're here to help and make them understand that we're not the bad guy, she'd be even happier. Lisa describes her IP super-power in a single word: Determination. When not at work, Lisa spends much of her free time taming her garden, growing vegetables and relaxing outdoors. Visiting museums and spending time with her family are also high up on Lisa's list of her favourite pastimes. 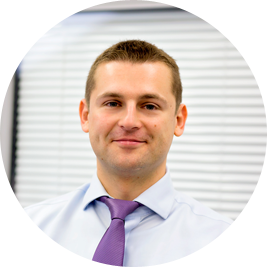 Pawel joined the Lines Henry team in early 2017 as an Insolvency Administrator. He describes the best thing about his job as the experience he gains from each and every case which crosses his desk, learning about how different businesses work and how each client and case has a different story to tell. In his own words, Pawel wishes more people knew: "Insolvency solutions can provide people who have been struggling with debt for a long time with a fresh start and free them from the debt spiral; allow a business more time to reach a payment arrangement with creditors or liquidate a company that has no prospect of continuing to trade due to various reasons." Outside work, Pawel is a fan of basketball and likes to keep himself up to date on the latest advances in technology. Like many of the team, he's a cat owner and enjoys relaxing with his wife and enjoying a good TV series or movie at home. Pawel describes his IP super-power as his broad sense of humour. 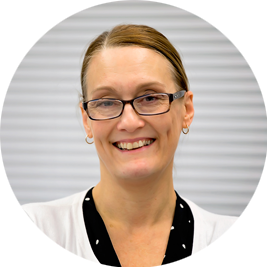 An AAT accounts technician, Janette has been with us for a number of years and joined us already in possession of many years of experience as an Accounts Manager. Combined, this amounts to a formidable 25 years of accumulated knowledge of the role. The variety of work and challenges in need of resolution are two of the things Janette thinks are the best things about her job. Janette looks after the Lines Henry accounts and also those of our clients. She's also in charge of health and safety issues. Unsurprisingly, Janette is a stickler for detail and for hygiene, insisting on the use of tissues to catch a cough or sneeze. Outside work, Janette enjoys spending time with her family, is a keen gardener and enjoys walking, often accompanied by her dog, Bob. 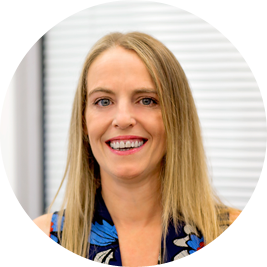 An aptitude for problem solving is Janette's IP superpower and her favourite quote is from the late Steve Jobs: " My favourite things in life don’t cost any money, it’s really clear that the most precious resource is time." Susan joined Lines Henry in 2010 and now serves us as Accounts Assistant. She ably assists Janette our Accounts Manager and the case administrators in their myriad duties. Susan provides support throughout the administration of all financial aspects of each particular case she looks after. Soon to be upgrading her AAT level 2, Susan loves absolutely everything about her job. Apart, that is, from having things left on her chair. Susan is incredibly house proud and when she's not donning the marigolds at home, she finds time to go swimming and socialising with friends. Susan believes her Forthrightness qualifies as her IP super-power.